Do you like Ulan Bator? 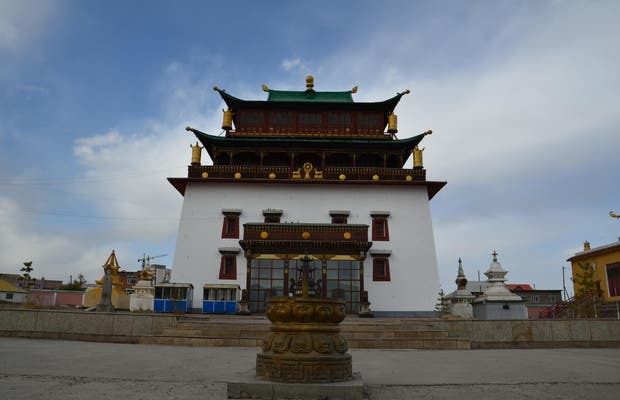 One of the few monuments in the capital of Mongolia, this is an active Buddhist monastery, Tibetan style, few of which survived the fires during the Soviet invasion. The site consists of six monasteries. Inside the main building there is a large Buddha that occupies the entire space. In the other monasteries Buddhist monks can be seen praying. It's also famous for its pigeons - the exhibition is full of them. The people walking through the site feed them.